This seems like a pretty good argument for the National Broadband Network, despite its projected A$43 billion price tag. Looking at various indicators of innovation performance, such as business R&D intensity, the share of scientists in business employment, and measures of patents, Australia ranks towards the lower end of OECD countries. On other proxies, however, such as higher education expenditure on R&D, Australia performs relatively well. The importance of innovation has grown significantly, and the potential pay offs are large. We know from past OECD work that used private sector investment in R&D as a proxy for innovation that when R&D increases by 0.1 per cent of GDP, then output increases by 1.2 per cent. We note that these observations are consistent with finding in the World Economic Forum's Global Competitiveness Report, which we wrote about a few weeks ago. According to Coppel's (ie the OECD's) figures, compared to the top-performing OECD countries, Australian has a lower GDP per capita and lower GDP per hour worked. Some simple math leads to the conclusion that Australians must be working significantly longer hours than residents of those higher-performing nations. Australia has long full-time working hours by international standards. In 2006 in Australia, full-time employed men worked an average of 45.9 hours per week, compared to many OECD countries with averages of less than 43 hours per week (for example, Denmark, France, Germany, Ireland, the Netherlands, Sweden). However, Australia Bureau of Statistics figures suggest that many of those hours may be unpaid, with weekly paid hours varying between about 37 and 44 hours, depending upon industry and occupation. At the same time, Australia also has relatively high levels of part-time employment, with considerable variation in the split between part-time and full-time workers between different age groups and between men and women. A study reported in 2005 concluded that Australians worked, on average, 1855 hours per year, ahead of the US (1835), Japan (1821) and New Zealand (1817). Many Australians would no doubt wear the label "hard worker" as a badge of pride. They should not. 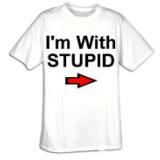 In fact, it would be more appropriate for us all to wear those T-shirts bearing the slogan "I'm with stupid!" It is a cliche to say "work smarter, not harder", but that is exactly what all those high-performing OECD countries are doing. And their workers are earning more money, working fewer hours, or (in some cases) both. Achieving greater efficiencies requires innovation – in processes, services and products – not more hours on the job. It requires more effective capture and deployment of intellectual capital. Maximising the returns requires sophisticated intellectual asset management, including (though not only) the protection and commercialisation of patentable inventions. Australia can improve its performance in all of these areas. As an added incentive, achieving greater efficiency in production and service provision results in reductions in resource utilisation, so there is an environmental imperative as well. So although there will be a slowing of economic growth, experts predict there will still be a lot of opportunities over the next few years, largely due to Australia's strong ties with Asia.